It’s been a busy week for Canberra entrepreneur Mick Spencer from ONTHEGO who kicked it off on Channel Ten’s ‘The Shark Tank’, securing the biggest deal they’ve ever done on the show. 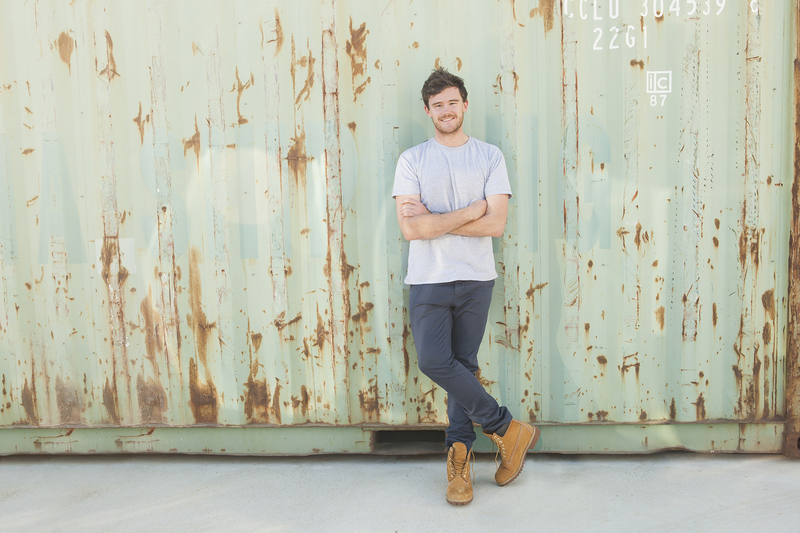 Spencer started his the sports apparel company when he was just 19 years-old, running it out of his parent’s garage in Canberra. Now 25, he’s running a multimillion-dollar company that employs 13 people and is in the process of going global, with export revenue already sitting at 15 percent, and a factory team of 300 in China. For the last 12 months, the brand has been focusing on gaining traction, strong growth and getting more clients and companies on board. “The strategy is ‘go where the people are’ and yeah, so we’ve been building up a lot of the foundations of the company to be able to start working with much larger customers, much larger partners and starting to continue to build up a great technology so we can really redefine the custom-made sporting goods industry,” says Spencer. It’s this pursuit of growth that spurred Spencer to go on the tv show and pitch his company to investors. On Sunday night, he was successful in getting the ‘sharks’ to invest $600,000 for a 30 percent share in the company. Having built the brand 100 percent himself and with very little cash, Spencer is has a strong vision of how he wants his company to expand and what strides he needs to take to get there. “I think we can build a $100 million business a lot faster if I’ve got people who are extremely experienced in the game and who are driven to an overarching vision of achieving a massive company quickly,” says Spencer. The company has had it’s fair share of up’s and down’s but Spencer says he doesn’t mind a challenge. It’s this tenacity and perseverance which has seen the founder battle through numerous health problems and learn to enjoy the journey a little more while building the brand. The company’s connection to sport is the backbone of the business and social entrepreneurship forming a key structure in the framework of the brand. Spencer believes the power of the brand links back to the power sport has to unify people and create change. The idea for the company first came to him when he was volunteering in Hawaii and he knew he wanted to build a company that not only sold products but gave back to communities.